Valentine's gifts tend to focus on chocolate treats so it's nice to have something a little different for Valentine's Day. This bacon and heart-shaped egg salad fills you up and also provides the freshness and crunch that I feel is so important to enjoy in the winter months and would be the prefect for a Valentine's day brunch or lunch. I was sent this little gadget, called an Eggspress, from Just Mustard which moulds hard-boiled eggs into heart shapes, so when you cut them in half you have a pretty little heart. Just Mustard is a gift company with lots of fun novelty gifts. 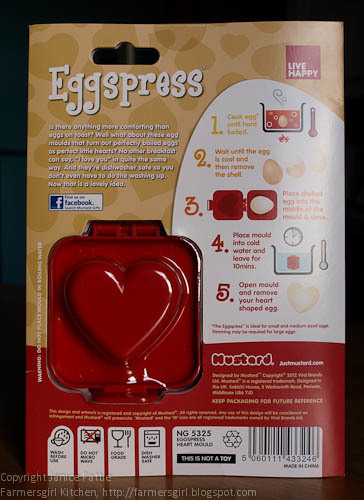 The back of the packet tells you how to create your heart shaped eggs and are easy to follow. Although it is easy to make, mine didn't turn out quite so perfect as the ones in the illustration. The yolk does not always sit right in the middle. 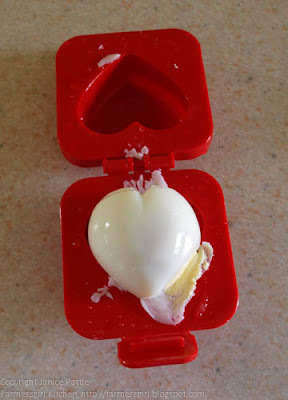 The heart shape does form, but it's not very pronounced and I think you need to use them fairly quickly as I found that the egg started to lose the point at the bottom after about half an hour. 2. 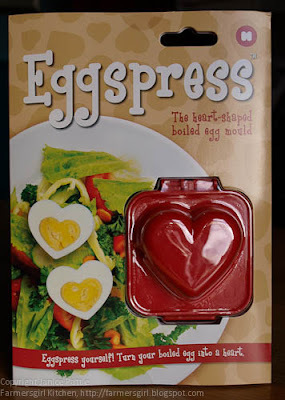 Press the eggs as per instructions and cut in half. If you don't have an Eggspress then simply cut the eggs in half. 3. 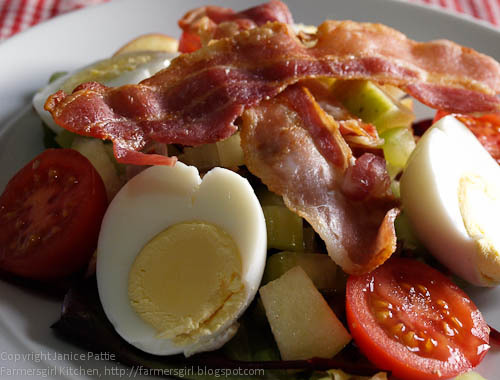 Place the celery, apple and 4 slices of crispy bacon (crumbled) into a bowl. 5. Spread the salad leaves on the plates, divide the celery, apple and bacon mixture between them. 6. 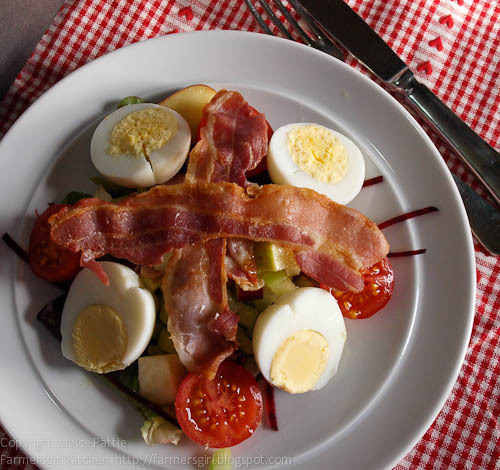 Top each plate with two bacon rashers crossed. Place 4 egg halves evenly around the plate and place the tomato halves between them and serve with crusty bread. A nice Chinese or indian! That would have been in an era before kids, when we used to go out often. I'd say a meal at a Lebanese restaurant was probably the best Valentine's dinner. lol@ the eggs' shapes, sorry, they looked more like little bums, which is also endearing, and I think my guys would love to have that egg press. Mussels in a white wine and garlic sauce, with home made bread. You made me laugh Galina! I think you are right. I've never had a meal cooked for me for Valentine's Day! It's my partners birthday so we normally get a takeaway! Mexican food! (But anything that I don't have to make sounds good to me)! Best meal was just beans on toast, was feeling poorly and just needed comfort food and he looked after me awww. A gorgeous meal at a chocolate themed restaurant. my boyfriend took me for a meal one year to a country pub, i had salmon in a dill sauce with salad for starter and a country chicken slow cooked in a mushroom sauce, it was amazing!